This blog has traveled quite a bit in the past 8 months...yet, someone pointed out to me that it's mission statement of advocating aliya and Israel isn't as nearly clear as I had hoped it would be. 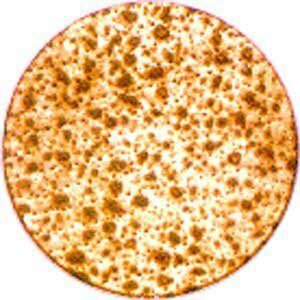 For someone taking a look at this blog for the first time, what do they see? Some blog with Arabic writing at the top, a list of 15 contributors, and no clue what it's all about. So...I decided to write a posting about the history of this blog, where it comes from and why it exists -- a starting point for newcomers. The Muqata Presents: Start Here. This past summer, with the advent of the Disengagement I found myself torn apart as I watched the destruction of the communities of my friends in the Gaza strip and in the Northern Shomron areas. My settlement home isn't far from the destroyed Northern Shomron communities of Chomesh, Sa-nur, Ganim and Kadim -- I even spent a few days living in a tent in Chomesh before the destruction reached there as well. A friend at work introduced me to the JBlogosphere, and I was enticed by the possibility of broadcasting my message to the world. Noticing that almost all blogs were anonymous, I guess I needed set up an anonymous blog as well. Without putting too much thought into it I came up with the idea for "Jameel @ The Muqata". Yes, I could have picked a better name, my wife wasn't thrilled with it...but it stuck. Not knowing anyone in the JBlogosphere, I floundered a bit here and there as I jumped from blog to blog trying to break into the chevra...the clique of JBloggers. It was rather depressing at the time, thinking I had missed the boat of getting into the JBlogosphere...and I wrote my first really decent posting about "The Roaring 60's of the JBlogosphere" (or basically, how I missed the boat). Curiously, that was a major inflection point for my blog as I started meeting other bloggers via email and the comments section on other blogs. It was then I realized the mission statement of my blog. While I had been unable to prevent the Disengagement during the summer -- not through demonstrations and not through living in Chomesh, I decided to actively promote love of Israel, the land of Israel, and aspiration of living in Israel to the JBlogosphere. It doesn't matter if you are secular or religious, left-wing or right-wing (politically) -- the key for me was to promote aliya: ascension to Israel. While life in Israel may not always be a picnic, I try to describe my rather ordinary life in these unordinary times. And then...just when my blog started making sense, my oldest son's Bar Mitzva approached and I had to take a forced hiatus from blogging. Panicking that I would lose my meager (but loyal) readership during the 2 weeks prior to the Bar Mitzva, I begged 14 blog friends to post on my blog. Little did I know how successful that request would turn out. Not only did these friends excitedly (!) agree to guest blog, but they wrote some of their finest blog posts of all time...and for that I will always be grateful. A roundup of all their posts can be found here. Highly Recommended. Since I'm such a sucker for nostalgia, all those bloggers are still listed on my "contributors" list, which is why this blog may look like a group, collaborative blog. And they are always welcome to post whenever they wish. And then, just when things started to appear to calm down, The First JBlogosphere Purim Parody Contest appeared -- with some outstanding parodies of the JBlogosphere's best blogs. The entire list is on my Purim Blogroll (the right-hand side sidebar of my blog) and the list of which blogger parodied who, is over here. I still have a few ideas of what to do next to continue to promote aliya and keep the JBlogosphere a fun place for all...and if you have any ideas, comments or constructive criticism, please feel free to drop me a line. There. I think that was a decent introduction. My sidebar has a bunch of classic posts from the past few months...you may enjoy reading some of them as well. That's all for now - have to think of something real to post for tomorrow...Yom HaZikaron and Yom HaAtzmaut. After a very relaxing shabbat at the Muqata -- seuda shlisheet with a bunch of our closest friends from our yishuv (what's better than eating outdoors with the Shomron mountains all around during sunset and the kids playing all over the place) -- came the motzei shabbat cleanup. Motzei Shabbat Hockey starts around 10 PM, but I showed up late, being engrossed in a comment thread on DovBear's blog about the planned demonstration (Sunday/Washington DC) against the Genocide going on in Darfur. So I showed up to hockey late, played for close to 2 hours and now I'm back, still bothered by Darfur. All around the United States today there will be rallies to promote awareness (and our disgust) at the ongoing genocide of the people of Darfur. Browsing the internet, I discovered the event tomorrow is local to the US and not on an international level, and to my dismay I couldn't find any link to an Israeli protest demonstration. Growing up in the United States, I could never for the life of me fathom how little was done during the Holocaust to save six million Jews. It seemed to me so obvious that a person would yell and scream at the atrocities going on -- yet for the most part all that could be heard was a "deafening silence". "Deafening silence" is also the name of the first chapter of Rabbi Meir Kahana's book, "Never Again" -- where he asks where was the Jewish community, its leadership, the demonstrations and the outrage during the Holocaust. Yet, the message of "Never Again" goes far beyond that of Jews standing up for Jews. Just because the world and even most Jews were silent back then does not excuse us from being silent now. If we are to show the world that Judaism clearly stands for social justice, we cannot be silent. We can never again be guilty of a deafening silence. And yes, I'm still proud to be a settler, and don't think there's an inherent contradiction by advocating social justice and being a Jew, living in a settlement in the West Bank. And if you live in the US, and can get to a demonstration tomorrow, I seriously urge you to make an effort to go. And if you know of a demonstration being held here in Israel, please let me know as well. 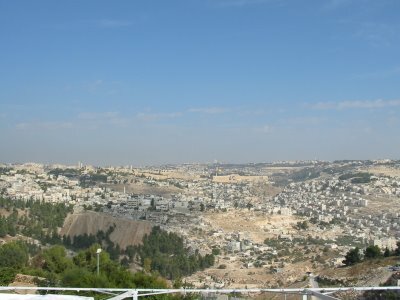 A great website with pictures, history and and everything about the City of David (also known as Silwan) can be found here at the ELAD website: elad.org.il Even though it's in Hebrew, and the English part isn't working yet - you can browse around pretty easily. ELAD (אלעד) are the initials in Hebrew for: EL IR David - To the City of David. 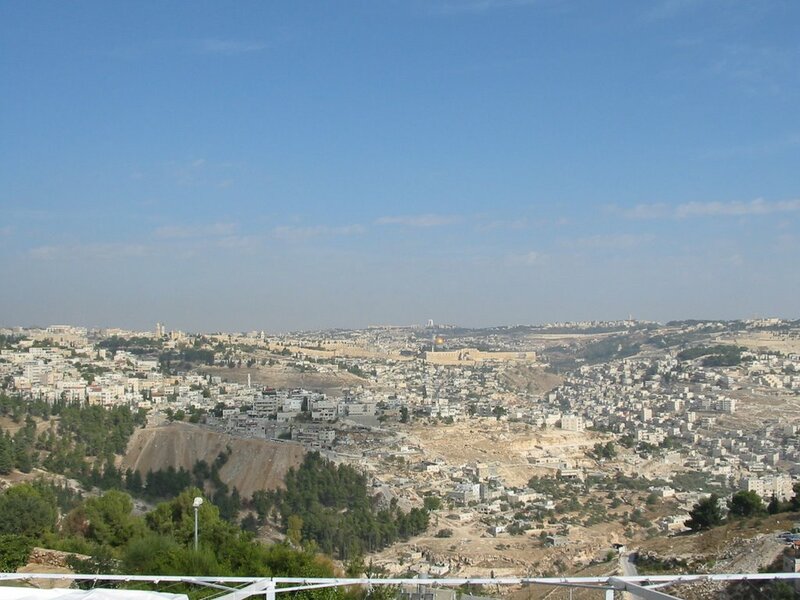 ELAD's mission is to reclaim as much of the City of David as possible, and promote Jewish historical awareness to this key area of Jerusalem. I'm sure some of the Muqata's centrist blogger friends will say that Elad does little to promote Israeli/Arab harmony by injecting Jews into a predominantly Arab neighborhood...but bear in mind that Elad's work is specifically reclamation-based, and their agenda is not antagonizing the Arab residents. Tiyul Around Yerushalayim – With My Second Grader Son. Once again, my kids’ school requested the presence of my M16 and MDA emergency equipment for a class trip (it saves them money by having a qualified parent come along than paying a company to send medics). Plus, my son was very excited that his dad would accompany his second grade class trip. Our first stop was the famous yeshiva of Merkaz HaRav, where we were going to meet the former Chief Rabbi of Israel, HaRav Avraham Shapira. Since my son’s school is learning about all the Chief Rabbis, the school thought it would be very “hands-on educational” if the kids could actually meet a current or previous Chief Rabbi, in person. Since HaRav Shapira wasn’t at the yeshiva, we walked to his home down the block and 60 kids crammed into his apartment in Kiryat Moshe to meet him. Rav Shapira is 93 years old - yet he's extremely animated and lucid to the point that he and the kids communicated exceptionally well. When is Mashiach going to come? Why are their 7 boys in my family, and no girls? If a family is very poor, and a bit of milk falls into a pot of chicken, does the whole pot have to be thrown out? Why is the “Ezrat Nashim” (women’s section) of the Beit HaMikdash called the “Ezrat Nashim” if men are also allowed in (but not in a regular shul). Did you ever meet Rav Kook? What was he like? Can you give us a bracha? While they were having this very lively discussion, I snooped around a bit, checking out the seemingly endless sefarim pouring out around the walls. There were lots and lots of book from Rav Kook. No surprises there. Hmmm, didn’t find “The Making of a Godol”…and I was disappointed there weren’t any Slifkin books (well, none visable). The closest I found to a Slifkin book was “Tosafot Chachmei Angliya”. I took a picture of my son with HaRav Shapira…and we continued on to the next part of the tiyul: The Hass Promenade overlooking the Old City of Yerushalayim, followed by “the City of David” – the old city of Jerusalem built by King David (today it's outside the walls of the Old City, and is also known as “Silwan” – a mixed neighborhood of Arabs and Jews). Finished off the tiyul with mincha at the Kotel. There are plenty of sites around the internet with the history of this neighborhood -- if you want more info, please let me know.. We had a great time, and thank God, I didn’t need to use any of the MDA equipment…or my M16. I’m exhausted so I’m off to bed. I WantNeed my Private Space to Blog. OK, so I want to be seminonymous. The 10:00 AM Yom Ha'Shoah siren just sounded for 2 minutes across the entire country, bringing most people to a halt to remember the victims of the Holocaust. Driving to work all the "softer" songs were on the radio -- those connected to more thoughtful and poignant themes. One of the songs I heard, "Every Person has a Name" -- is also the official title of the Holocaust memorial ceremony in the Knesset (where the names of victims are read). The poet Zelda Mishkovsky (born in the Ukraine and settled in Palestine in 1926) expanded this midrash, creating the poem - Every Person Has a Name. Here she enumerates the parts of a person’s life and experience that create the name one bears. Following the midrash, Zelda recognizes that the root of a person’s identity is - and remains - the name assigned at birth. She begins her observations that each person has a name that is given by G-d and by his/her parents. Other names will develop...yet the midrash is correct when it states that (hopefully) the best of all names is the one that a person earns alone, for themselves. given to him by his walls. given to him by his neighbours. given to him by his longing/yearning. given to him by his love. given to him by his toil. given to him by his blindness. given to him by his death. Another name you go by is your blog name. I would appreciate if you do know my name, to please keep it to yourself. Apologies for the previous ranting posting about removing the blog. It was not intended to attract attention, but I was rather angry about an email I received at the time. If I had just wanted extra hits or extra attention, I could have put up a picture of myself from this past Purim...or called in a favor from any of the big bloggers for a gratuitous link. The MEME of A through Z. Who is Jameel @ The Muqata? Find about a bit more via this A-Z MEME. I was kindly tagged by Ezzie before Pesach (Erev Pesach, what the *&^%$ were you thinking? ), and now by Erica after Pesach. I MEME-snubbed a certain blogger, (who wants to remain anonymous) a few weeks back, which is a sore point so here's the name up in lights: ANONYMOUS BLOGGER (happy now? That should get you TONS of hits) And of course, I was MEME tagged by Chana a while back and missed thanking her. We can all wish her a big mazal tov on her acceptance to Stern and a well deserved Academic Honors Scholarship (and her decision to attend!). So here it is, the A through Z MEME. Accent: American! My Hebrew sounds American no matter what. I really try with the “rolling rrrrraish”, but it will never sound authentic. *sigh* My English is softly accented Eastern United States with mild hint of Bronx twang. Booze: The best whiskey I ever had was at my friend’s daughter’s Bat Mitzva. I forgot what it was called, but it was a great single malt scotch. No blends for me…just aged single malt. Then again, I think I drink less than 6 times a year and I'm not really big on booze. For wine, I definitely choose Zinfandel, and from grapes grown only in Israel, thank you. Dogs/Cats: No thanks…my kids want a dog…and they can keep dreaming…we already got them a rabbit for an afikoman present a few years back...but the following year they asked to get RID of the rabbit as an afikoman present. Essential Electronics: My Laptop with WiFi and DSL. A MARS for my M16 is definitely a useful electronic gadget to have. Favorite Perfume/Cologne: Err, none. Recommendations? Gold/Silver: My wife overdosed on the tri-color gold jewelry that I kept buying her. (It was my fault). I like silver I guess...silly question. Next! Hometown: Like Bruce Springsteen, I was born in the USA. Israel is home, though. Really. Even if there are plenty things I miss about the US...Entenmanns, Sundays, Friends, Family, Democracy...and good radio with songs from the 80's. Insomnia: Never an issue. I can sleep standing up or contorted into a pretzel with a screaming baby a foot away from my ear. Kids: Yes. Less than 10. More than 4. Living Arrangements: The Muqata Compound boasts a huge complex of bedrooms and 4 bathrooms. But you can’t use the hot water simultaneously in any of the bathroom showers. Most Admired Trait: Walk & chew gum at the same time...most of the time. Number of sexual partners: This is a family, PG-13 blog and my oldest kid reads it sometimes. Or was I supposed to write "one"? Overnight Hospital Stays: I think I was once hospitalized overnight for a suspected appendicitis when I was 11. In the end, I may not have slept over. However, I have been to the emergency room with my kids at all hours of the night…croup…suspected rocky mountain spotted fever…plastic bead in an ear….snail shell up the nose….you know, everyday kid stuff. Phobia: Yes. But I’m too scared to write it on my blog. Religion: With a name like Jameel, isn’t it obvious? Siblings: Yes. And they read this blog. Again, PLEASE don’t tell our parents about the blog, please? Just try…I’m begging you. Time I usually wake up: 5:30 AM onwards. X-Rays: I have real night-vision goggles – does that count? Yummy Foods I make: Nuke-a-burgers. I can grill chicken for shabbat on our outdoor gas range, which tastes pretty decent. Is Israel Poised to Retake Gaza? Well, maybe...it depends who you ask...and what the trigger will be. Haaretz, which was extrememly pro-Disengagement tries to downplay the possibility, and paints a picture of Israel winning "diplomatic points" by refusing the retaliate for the bombing attack over Pesach. Haaretz claims the plan exists but has not recommended a go-ahead. The Israel Defense Forces has a contingency plan for ground operations in the Gaza Strip but for now is not recommending a go-ahead to the government. The general staff sees no need for a return to occupation. The officers' thinking is, since the IDF has complete freedom of movement, they can pick up fugitives any time they see fit. In recent weeks, the IDF has completed training forces to enter the Gaza Strip. The forces have been instructed to be prepared within a week from receiving the order for a big operation, or within three days for a smaller operation. On the other hand, the Jerusalem Post says the IDF is already ready, and has consulted the government. OC Southern Command Maj.-Gen. Yoav Galant said Friday that the IDF was preparing to reoccupy the Gaza Strip if the Hamas-led Palestinian government did not halt rocket fire from the area. The senior officer added that "intolerable" nonstop attacks, or the use of longer-range and more powerful weapons such as Katyusha rockets, could prompt a large-scale ground operation. Everyone agrees the security situation is intolerable. So why doesn't anyone have the guts to stand up and say, or even whisper, that maybe, perhaps, possibly, the Disengagement wasn't the best of ideas? Doesn't anyone have a backbone? As I've reported on this topic before, according to the CIA worldbook, Israel has one of the lowest chocolate consumption rates of chocolate per capita in the Western world. Hopefully, the latest news in the chocolate world will not make it to our shelves here in the Promised Land. "Camel Bar" chocolate -- made from the milk of camels (excuse me while I puke), is apparently on its way to being sold in stores around the world...and I hope that Israel's Middle Eastern locale and centrality to the camel kingdom will have no effect on the (hopefully, non) arrival of this product in Israel. No, it's not kosher in the slightest either -- as we just read in this past week's parasha, that camels (and their milk) aren't kosher. Unknown vandals desecrated the tomb of talmudic sage Rabbi Shimon ben Gamliel, shattering iron bars at the entrance to the structure and setting it alight. Located in the Israeli Arab village of Kafr Kana, just west of the Golani junction, the tomb is the final resting place of one of the most prominent rabbis of the talmudic era. It consists of a small stone building, which stands over an underground burial cave. The entrance to the site and the sign hanging over it were partially blackened by smoke as a result of the fire that was set, and mounds of garbage were strewn nearby. Damage was also inflicted to the interior, including to the stairwell leading down to the subterranean room where the sage's grave is located. Several of the stone steps were smashed, and an adjoining concrete wall was ripped apart. Workers will be sent to the site on Sunday to repair the damage, the official told the Jerusalem Post, adding that the tomb has been the target of regular attacks by local Arabs, often as frequently as twice a month. Question: What would have been the reaction of World Moslemhood had the grave of an Islamic scholar and religious leader been vandalized...by Jews...on a regular basis...and as frequently as twice a month? Olmert, Judas, Sharks, Drugs and Pretty Woman. One could probably weave together a fantastic blog story of the following hot topics going around in Israel and the Jewish World. Instead, I'll leave that as an exercise for you. 1. Copyrighter behind title for one of most successful romantic comedies of all times is none other than Israel's prime minister, who in 1989 persuaded movie's director, producer that 'Pretty Woman' wasn't such a bad name for their film after all. Maybe he should work on films full time, and let someone else run the country? 2. Catholic Pope Benedictus XVI recounts Biblical betrayal of Jesus by Judas, calling apostle a double-crosser for whom 'money was more important than communion with Jesus, more important than God and his love'. Since the Pope has no problem with "airing" these "historical" views, can we uncensor some of Talmudic topics that deal less than favorably with Jesus? Oh, sorry, we can't worry about offending anyone now, can we? 3. UK wants 'normal relations' with Hamas -- British foreign secretary says country wishes to hold ties with Hamas-led government as it had with previous Palestinian governments, adds UK must seek ways to financially aid PA.
Normal relations? I'll bite my tongue on this one. Let's just say I hope the UK enjoys their normal relations with Hamas as much as we have till now. 4. School of about 15 sharks spotted off Haifa shores. Experts say sharks pose no danger to humans. I wonder if the UK wants normal relations with the Sharks as well? They are such misunderstood creatures of passion, life, and they have such adorable children. 5. Three non-waterproofed bags containing nearly hundreds of kilograms of marijuana wash up on two different beaches near Zichron Yaakov; police probe whether drugs were smuggled into Israel or mark attempt by Israeli to dispose of illegal substance. Do you think they wanted to placate the sharks up north or the Hamas down south? More than 20 Qassam rockets were fired at Israel during the Pesach holiday...The IDF fired some 1,480 shells at the northern Gaza Strip last week, out of a total of 4,000 shells fired since the massive action against Qassam cells was launched three weeks ago. The blasts were well heard at the Gaza vicinity communities, and the resident once again woke up to a morning of anxiety. "Unfortunately, it is no longer possible to know whether the noise is an IDF shelling, which has become a nightmare for us and is no longer helpful, or Qassams, which we have already accepted," one of the residents told Ynet. Huh? The IDF shelling is a nightmare, but the Qassams are acceptable? Happy RumpleNacht, Mimouna and Isru Chag. One of my ingrained teenage memories from Post-Pesach was "RumpleNacht" (pronounced, Roomple-Nacht) -- the night pesach was over we had to return the house back to the wonderful state of "chametzhood." The "rumpling" was the wrapping of dishes and glasses in newspaper, putting them in boxes, and hauling them all to the basement or attic. Granted, as a teenager, I despised the "rumpling" and shlepping part of the night and I tried to get it over with as quickly as possible. Thankfully, us local teenagers had the important RumpleNacht tradition of flying out the door (having put the dishes away) and driving to "Jan's" ice cream parlor. The only thing kosher as Jan's was the ice-cream, and it was a great way to hang out till 1 AM with friends on motzei chag. Tonight, after the kids helped put everything away they insisted on pizza, and I drove them to buy some. They waited an hour for a pizza pie, and insisted it was worth it. Glad they had their fun...I'm still reminiscing over Jan's. The sad thing is that the person I learned the "RumpleNacht" word from used to be a very close friend...(after all, we went to Jan's ice-cream on RumpleNacht)...this person even lives in Israel now (Beit Shemesh if I'm not mistaken)...yet we haven't been in touch in at least 10 years. Well...the kids and I tried writing a RumpleNacht rap song while cleaning up, but it just didn't have any oomph to it. Maybe next year. In any event - Happy RumpleNacht! Merry Mimouna! And a Joyous, Leavened Isru-chag. Attack in Tel-Aviv - Good thing we have the border Security Fence. This morning I received a routine SMS message on my cellphone of active security alerts around the country: 83 general terror attack alerts, with 19 specific ones targeting exact locations. At 1:39 PM my Hatzalah Nextel/MEERS announced the explosive terror attack in Tel-Aviv. A minute later my MDA beeper provided more information; nothing makes your heart sink faster than the familiar "MDA National Information Center: ***Initial Report***" message and the declaration of a mass casualty event. Fast Forward to the 8:00 PM news on Channel 2. (if you can fast forward past 9 dead and over 60 wounded still hospitalized). "Despite the Terror Warnings, Despite the best efforts of the Police, Despite the Shabak, a terrorist managed to blow himself up in the middle of Tel-Aviv this afternoon..."
How come there was no mention of "Despite the billion dollar security fence?" You'll hear everyone say that the security fence is Israel's #1 terrorist prevention measure, but no one in the media will ever say a bad word against it. 5 years ago, pre-fence, I would also get the exact same messages daily of "83 general terror attack alerts, with 19 specific ones targeting exact locations..."
The false sense of security, the demarcated, de-facto border, the animosity from uprooted trees, land confiscation, roadblocks and hatred from "machsom watch" -- not to mention the difficulties for all parties involved (Israeli and Palestinian)...is it all worth it for the billion dollar "security fence?" Sorry, not in my book. And this probably isn't the first time you'll find Settlers and Palestinians in agreement. And don't forget to count the omer! Places Not to go: Yad Yair. I'm generally not the type to tell you where NOT to go, but I knew this was one trip not worth taking. A few friends called up to go on this family "hike" between Beit-El and Dolev along the "Wallerstein Road", but knowing this road very well -- I advised them against it. Not only is the road adjacent to Ramalla and you are a total sitting duck for a sniper attack, but the IDF clearly didn't want this "outing" to happen. When the IDF tells you in advance that this is dangerous AND from personal experience I can tell you this is one dangerous road, then its not the brightest place to go for a walk with your family. The people that went just looked stupid, fanatical, and obviously - a 17 year old getting shot was the low light. (Baruch Hashem he's OK). Don't you just hate the crumble and mess? This video demonstrates a new product which solves all your problems...though its probably not for gebrucht eaters. Extreme Matza: Life on the Edge. After a hectic trip to the US on the week before Pesach, I'm blogging less than usual due to lots of "work" work and helping clean up for Pesach at home. However, I wanted to share an Erev Pesach experience from the Muqata that has already become a routine custom for us. Many people view living in Israel as "life on the edge" -- as if there's an inherent danger to living in Israel or a settlement-yishuv in the Shomron as we do. As I've blogged about before, we go on trips all around Israel, and try to maximize safety and security, while at the same time maximizing the Jewish experience of living in Eretz Yisrael. We've gone to Har Eval (I, II), Hevron, Har Grizim, Kever Yosef, Tekhelet Snail snorkling on the Dor Beach, and countless other places...they all help strenghten our religious and national connection to the land of Eretz Yisrael. And then comes Erev Pesach. While some would say the following experience is the most dangerous of all, we believe it is important enough to carefully weigh the risks involved, and involve our children in this venture so that we can positively enhance our Pesach experience. Going back in time, to when the Korban Pesach was sacrificed in Yerushalayim, matza was baked for the seder...on Erev Pesach. In fact, matza for the seder was baked was after mid-day on Erev Pesach. Therefore, in preparation for the Pesach when we will once again merit bringing the Korban Pesach, a group of us from our yishuv bake matzot on Erev Pesach, after mid-day. The stakes are high, as the experience is radical and the possible consequences, rather extreme. It is forbidden to have any chametz in your posession on Erev Pesach after mid-morning, and absolutely forbidden by the afternoon. Therefore, we take radical precautions in the baking of matza on Erev Pesach. To minimize the inherent danger involved, we carefully arrange the different tasks; the timekeeper, the flour watcher, the water watcher, the expert group of dough kneaders and rollers, the matza perforater, the oven baker and the cleanup crew. We only use the most mehadrin flour - organic wheat grown by Jews from a nearby settlement which was watched from the second it was cut to ensure it had no contact with water and securely kept from any contact with chametz. We use "Mayim Shelanu" -- cold water that's sat outside overnight. We have our own outdoor matza oven - a huge hand-built brick oven used once a year exclusviely for matza baking. From the sound of a whistle, we work quickly and excitedly to prepare the matzot, mixing the flour and water, kneading it, rolling it, performating it, and rolling it into the oven. Time is carefully kept to ensure we don't even approach the danger zone of 18 minutes. After the dough process is finished, the entire plastic tablecloth, rollers, and any remnants of flour are quickly rolled up and thrown away into the public dumpster. A quick and thorough check is done to ensure nothing was missed. The matzot are baked and then carefully stored in the living room. And during the matza baking process, all of us together -- children, teenagers, and adults all sing songs of Pesach, Redemption and Hallel to the backdrop of guitars, flutes and bongo drums. And then at the evening seder, we use these special matzot -- which our children know were hand baked only a few hours earlier. May we all experience a Pesach of personal and national redemption, and merit the ingathering of the Jewish people from all corners of the Earth, to Eretz Yisrael and Yerushalayim. This coming Year in a Rebuilt Jerusalem! Fellow blogger and settler, "Aliya Blog" has an excellent (though depressing) post about how officials from the Jewish Agency and the United Jewish Israel Appeal of Great Britain (UJIA) feel threatened by the new kid on the block, Nefesh B'Nefesh. Labeling NBN as an "American" organization instead of a Jewish one, these mainstream organizations are worried about NBN's entrance into Britain's "aliya advocacy" turf. Till NBN appeared in the USA, aliya figures of American Jewry was rather dismal -- with horizontal aliya far outpacing that of vertical aliya. The financial incentive is just too much a crucial factor that often is the deal maker or breaker for many potential olim. Why did HASHEM personally take the Jews out of Egypt? Why did G-d not use a Jewish Agency Shaliach? Because HE wanted the Jews to ACTUALLY make it out of Egypt. In fact, the Jews did get lots of financial perks when leaving Egypt, like all the gold from the Egyptians...so I guess Nefesh B'Nefesh tactis were being employed even back then. The tornado touched down during a hailstorm in the Acco region, striking the Arab villages of Julis, Fassouta and Jedaideh. Hail as big as ping-pong balls was reported as far away as Nahariya. In southern Israel, sandstorms reduced visibility to less than three feet. 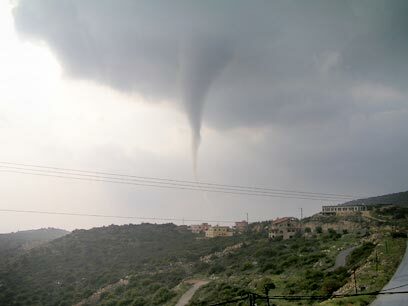 Tornados are very rare in Israel. When I was little and saw the "Wizard of Oz" on TV, I was totally freaked out by the tornado scene and Dorothy's house spinning in the air. My father reassured me that there were no tornados on the East Coast...and I've told my kids there are no tornados in Israel. Oh well. I guess my credibility with them has been shot. Mars & Venus on Erev Pesach Cleaning. Men and Women are totally different. Different, and not necessarily equal either. My wife is much better at multi-tasking a million different events at once (cooking, cleaning, work, kids, laundry, etc. ), while I can parallel park in my sleep, fix all sorts of electrical and mechanical problems, and sleep without being woken up by the soft cry of a baby. Even the loud cry of a baby usually fails to bring me out of a deep sleep, and it’s the powerful shove out of bed from my wife that wakes me up (the dull thud of hitting the floor usually works). So we’re totally different, and we have a variety of roles & responsibilities to make our marriage work. However, there are times which can try any marriage, one of the most harrowing being “The Erev Pesach” era. Starting the day after Purim, Jewish women around the world start the mad rush towards cleaning our homes for Pesach. Jewish men more or less continue on blissfully with whatever it is they usually do, somewhere knowing in the back of their mind that Pesach is approaching. Women clean the house…and cook for Pesach…and buy food…and take care of the kids (who in Israel, start their vacation a week before Pesach)…some also work in addition to all of the above. And what do guys do? OK, I’m going to sell the chametz! That’s something I’m definitely capable of taking care of. Let’s face it. Men, are totally pathetic when it comes to really helping for Pesach. But then, when we’ve come to this brutal realization, there are those of us who add insult to injury, and do what no self-respecting Jewish husband should ever do. The Mrs.: Really, What’s wrong? Jameel: Remember how I was supposed to go to the US on business last month, and how happy we were that the trip was cancelled? Well, I have to fly to LA for a few days. The Mrs. (in a frosty voice): Really? Only a few days? Jameel: Well, leaving motzei Shabbat, returning home on Friday. The Mrs.: Exactly. Just like every other time estimate you ever give; multiply any time guesstimate by 2 or 3…you say you're leaving the office at 6:00…and “out of the blue” you have a phone call which keeps you at the office till 6:30…by the time you get out of the parking lot its 6:45, don’t forget the traffic which never seems to happen when you WANT to be home on time…and voila. You’re home promptly at 8:15…just in time for Maariv. So “a few days” turns into an entire week. Jameel: But at least I’ll be home for Shabbat! The Mrs.: How is it that EVERY single year you manage to “have” to be sent on business the week before Pesach? Jameel: I’m only going for 2 days…I won’t really have any time to buy stuff for you. Jameel: Fine, 2.5 days, but there’s all the travel overhead! Its 19 hours of flying time each way! Kids: (upset) You’re going to America for a week and not buying us anything?!?!?! So…I fly to the land where the streets are paved with electronic gadgets and great sales….while my tzadeikes of a wife is left with the kids…the cooking…the cleaning…the laundry…and her own full time job…and I fly off to the US. The Mrs.: OK, (sounds very tired)…how was your flight? Now what the heck am I supposed to answer? That I slept for 8 uninterrupted hours, watched a movie, blogged about something, and did some work? That the business class food was very good, the wine was good, and the chair was more comfortable than our LAY-Z-BOY chair in our living room? Jameel: (answering very gingerly) Well, the flight was OK, I slept for 8 hours…. The Mrs.: Must have been awful. Jameel: How's the house cleaning going? Are the kids being helpful? The Mrs.: Why? You expect the house to magically clean itself and you’ll arrive home after your “business” trip and everything will be ready for Pesach??? Let's face it. It's very hard to work it out every single year...time after time...to ensure that I fly away on business the week before Pesach. Guys: A word to the wise. Don't believe everything in the "Men are from Mars, Women are from Venus" books. Women can be very Mars-like, and like most Israeli citizens, are very good shots with automatic weapons. On the other hand, I really love my wife alot, and she knows I had nothing to do with planning this trip. And I feel incredibly guilty for being away from home this week....but I can't even send this to her for approval, because she'll say, "you're on a business trip, and yet you're blogging again?!?" Poison Israeli Soda Soft Drinks? At our home at the Muqata, our kids know we never serve soda soft drinks during the week -- we reserve those drinks exclusively for shabbat. Even if the take-out pizza special comes with a free bottle of Coke per pizza pie ordered, we still save the coke for shabbat. 1. Makes Shabbat meals more special for kids. 2. Reduced needless sugar intake minimizes kids bouncing off the walls. 3. Healthier to drink water or whatever else we have for them to drink. Our kids’ favorite bubbly drinks in Israel are definitely the from the psychedelically colored “Fanta” product line – deep puple (grape), radiator-coolant green (Shokata – blended kiwi and other flavores), spray-paint yellowish-orange, and Rusted Burnt-Sunset Red (exotic fruit?). Deep down, I always wonder how safe these drinks really are. Artificial food coloring has always worried us on some level -- we used to search high and low to only buy yellow soup nuts/almonds, “mondlin” without the dreaded “tartrezine” yellow coloring in them. We tried green ketchup once to see what the kids thought if of it, yet the artifical coloring in the ingredients prevented us from ever buying it again -- “Aluminum Lake Blue #5”. The only place I want aluminum near my food is in foil wrapping. I don’t want it anywhere in the ingredients list. While reading up on our local economic news in Israel, I was rather surprised to read about a 200 NIS million ($42.8 million) class action suit against Coca-Cola in Israel, the owners of the Fanta product line. Apparently, Fanta contains sodium preservatives and acerbic acid—that together create Benzene, which is believed to be a cancer-causing ingredient in humans. The company explained that a combination of the ingredients exists in two Fanta products and both were analyzed by the company's global laboratory in Europe. The findings also support the claims that the amount of Benzene is drastically lower than the Israeli standard and the World Health Organization standard for drinking water. Therefore, Coca Cola said, "it's important to stress that Fanta products carry no health risks." Tell the kids that their favorite soft drinks are now off limits even on Shabbat? Switch to something less poisonous, like regular Coke? Only have water and OJ? Any advice from out there in pre-pesach blogland?